New Hope Learning Center At Creekside High School. We are Proud Partner with The Latin American Association. We are Proud Partner with Grady Memorial Hosiptal. Find out more about our internship program With Grady. Piedmont Fayette newest Patient Care Technician. Loving her new job as a Patient Care Technician/surgery Tech. 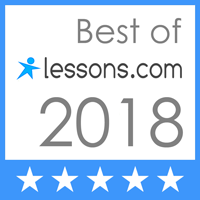 I'm excited to annouce that we've been named Best of Lessons.com in 2018. Congratulations! We hope that you find everything you need! New Hope Learning Center is focused on providing high-quality service and customer satisfaction - we will do everything we can to meet your expectations. Our vocational Training Programs are not only rewarding, but affordable as well. Take a look around our website and contact us with any questions or concerns.